IT was a wonder that nobody was badly injured in this crash. 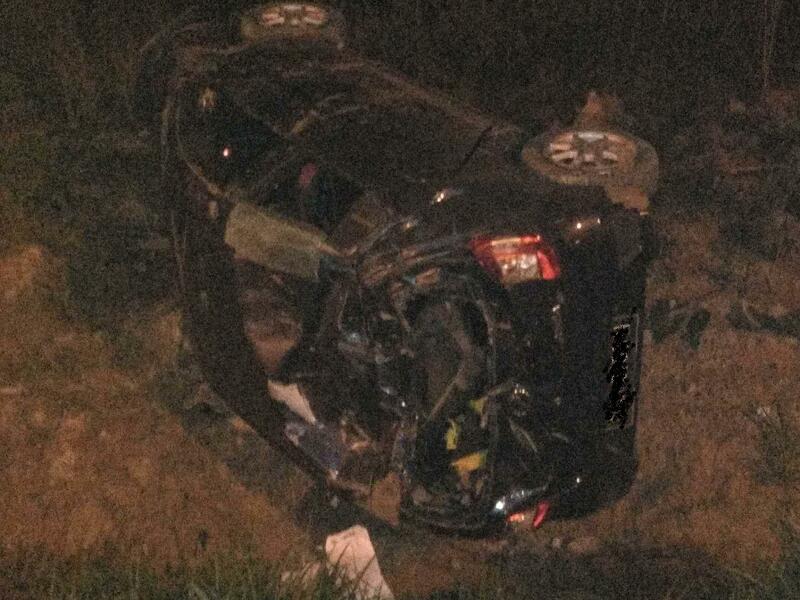 ANOTHER view of the car involved in the mishap. 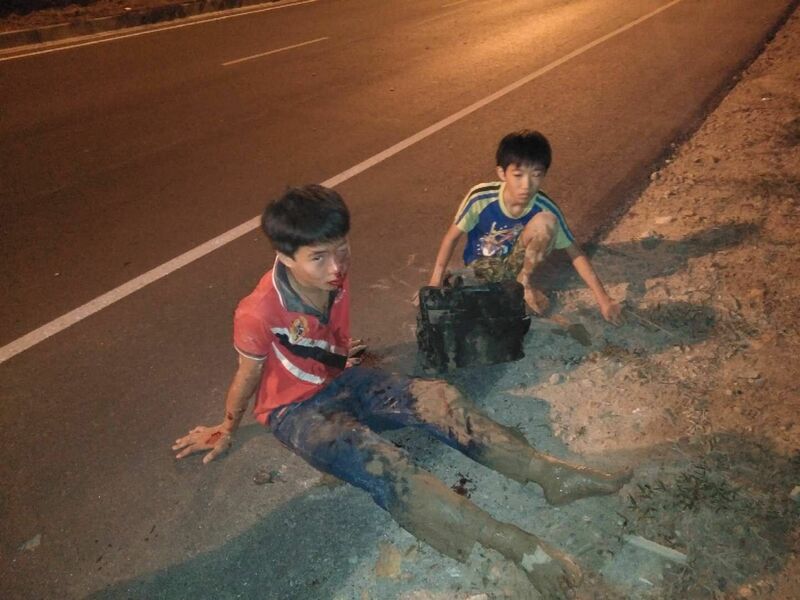 BOTH these two boys are injured with bloods covering their faces and bodies. 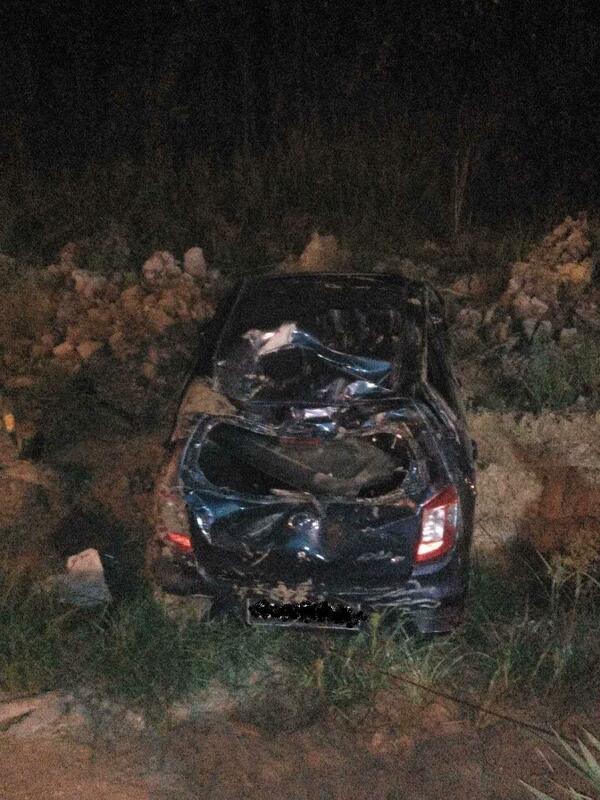 KUCHING: A group of teenagers had a scare after the car they were in went out of control and then sliding down into a ravine yesterday along Jalan Matang. 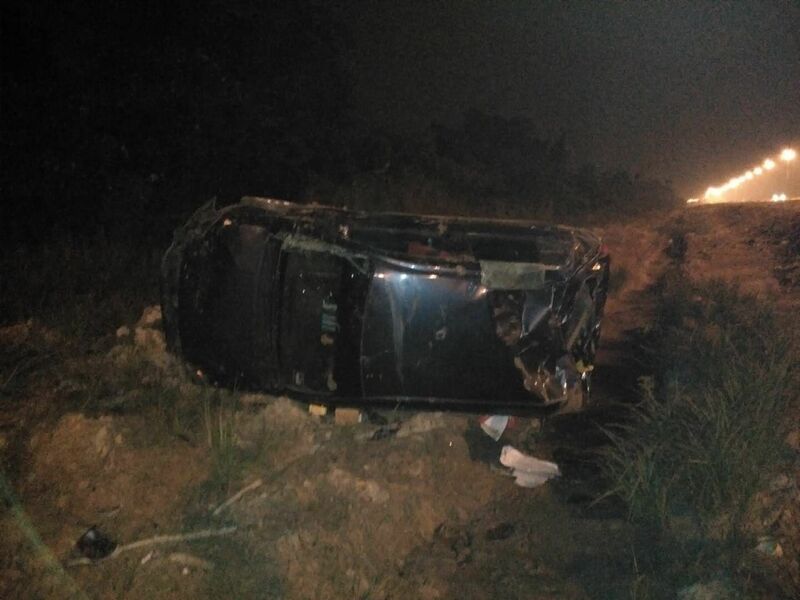 The accident occurred at 3 am and it was alleged that the driver did not have any driving licence. At the road junction the car went out of control and rolled down the ravine. Two were injured with bleeding wounds and waited badly for help. Passers by saw the accident and one of them called an ambulance. A few of the others fled the scene. Police are investigating. The car was badly damaged. Car badly damaged, two injured in scary mishap 0 out of 5 based on 0 ratings. 0 user reviews.